The location of solo vehicle accident where Shannon David Scott's vehicle was recovered and an unidentified body. Footage of Shannon David Scott's car as it was last seen on Sunrise Boulevard. Image of 2014 White Fiat, similar to the car Shannon David Scott was driving when he went missing. The vehicle of missing Marine Corps Veteran, Shannon David Scott of Calaveras County, was located Monday, April 8, 2019 at approximately 2:29 p.m. A solo-vehicle traffic collision was reported on State Route 16 east of the Sacramento County Line, in the CHP Amador Area. A deceased body was located in the vehicle but has not yet been identified. The Amador County Sheriff’s Office is in the process of identifying the decedent. The vehicle was located on the North side of Highway 16, approximately 75 feet off the highway. There were two small trees that showed they had been hit, some time ago. 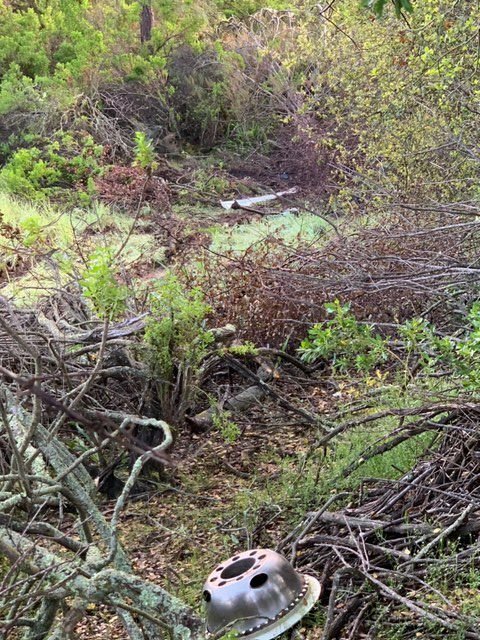 The vehicle was not visible from the roadway (heavy vegetation down a steep embankment) and was discovered by a property owner. In the collision report issued by the California Highway Patrol, it states the decedent was driving eastbound on SR-16 east of Moriah Heights Drive, for an undetermined reason the vehicle suddenly swerved towards the north shoulder of SR-16. This caused the vehicle to travel off of the north roadway edge of SR-16 in a northerly direction and to collide with a tree and to overturn. CHP stated this traffic collision is still under investigation and pending positive identification of the driver. The Calaveras County Sheriff’s Office (CCSO) stated Scott was reported missing by a family member on August 31, 2018 at approximately 10:30 a.m. The family member reported Mr. Scott was last seen on August 29, 2018 when he left his home on Blagen Boulevard in Wilseyville (Calaveras County) at approximately 11:00 a.m. heading to a 1:30 p.m. VA appointment in Rancho Cordova (Sacramento County) at the Sacramento Veteran’s Affairs Medical Center. Scott never arrived, according to a Silver Alert issued by the Calaveras County Sheriff’s Department on August 31. 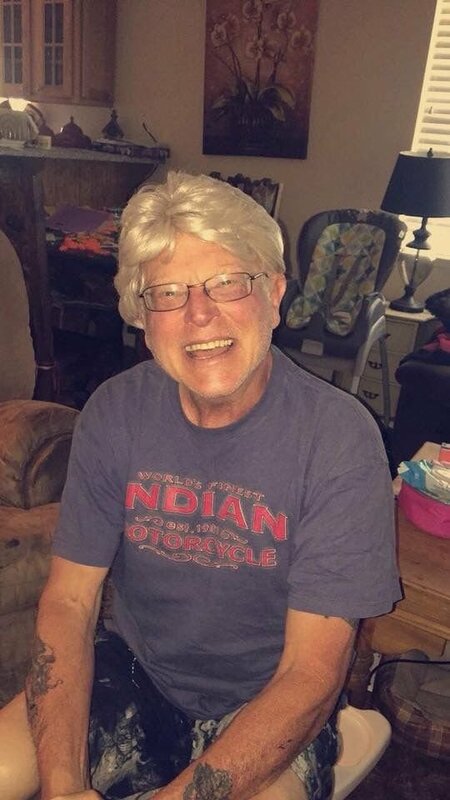 The Silver Alert stated Scott was driving a 2014 Fiat with a CA Purple Heart License Plate, 9038PH with a large Marine Corps sticker in the rear window. The alert described Scott as a white male adult, six feet tall, 170 pounds with short white/blonde hair and blue eyes. He was last seen wearing a black shirt, white shorts and brown shoes. At the time of the initial missing persons report, an investigation was initiated by CCSO, which included the issuance of a Silver Alert, a search of Mr. Scott’s residence, an aerial search of his path of travel, and an investigation into the latest activity and location of Mr. Scott’s cell phone. Results from the cellphone provider indicated the last activity on Mr. Scott’s phone had occurred in the Sloughhouse area of Jackson Highway on August 30, 2018 at about 3:00 p.m.
On February 25, 2019 CCSO Detectives served a search warrant in relation to possible financial crimes at Mr. Scott’s residence on Blagen Blvd. in Wilseyville. CCSO stated that although there had been no new leads in Scott’s disappearance, detectives have been conducting a follow-up regarding possible crimes in relation to Mr. Scott’s finances. During service of the search warrant, 25-year-old Shaylee Scott was arrested for felony violation of probation, felon in possession of a firearm, and felon in possession of ammunition. She was booked into the Calaveras County Jail without bail. On March 4, detectives from the CCSO confirmed that Mr. Scott’s vehicle was positively identified traveling northbound on Sunrise Boulevard (Sacramento County) from Highway 16/Jackson Highway at 12:12 p.m. on August 29, 2018. The Calaveras County Sheriff’s Office is seeking the assistance of anyone who may have observed Mr. Scott or a 2014 (white) Fiat travelling in the area of Jackson (Road), Sunrise Boulevard, or Calaveras County on or around August 29, 2018. Anyone with pertinent information regarding this case, is asked to call CCSO Detectives at 209-754-6500. The traffic incident is being investigated by the California Highway Patrol. Contact California Highway Patrol Officer Hagemann at 209-223-4891 or the Amador Sheriff’s Office at 209-223-6500 for further information regarding their investigation into the traffic accident.